In just a year Fortnite has changed from being a complete unknown to become a mass phenomenon to gamers around the world. Since its launch in the summer of 2017 and until today it has managed to attract 125 million players and its monthly benefits are counted by hundreds of millions of dollars, which has pulverized all the records established to date in the world of video games. 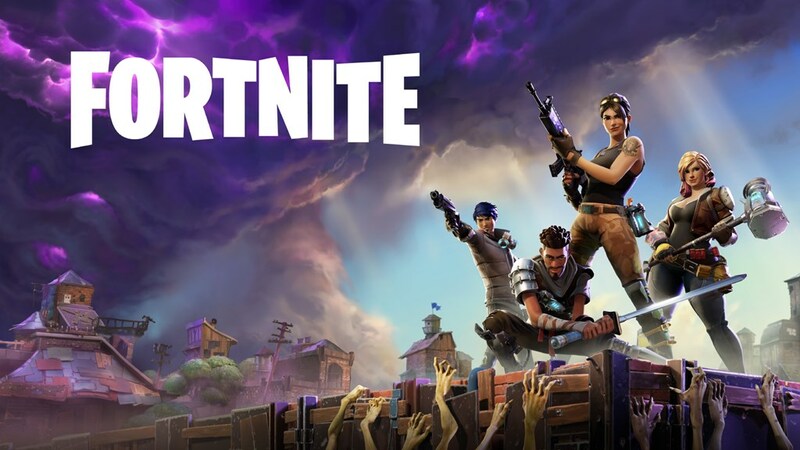 After settling on Windows, Mac, PS4, Xbox One, iOS and Nintendo Switch, Epic prepares the launch of Fortnite for Android devices during the months of August and September and everything suggests that it will become one of the biggest and more complex premieres of the videogame history. The impact of the launch of Fortnite can be measured in terms of volume of installs, business and community of players, but it will not have as much impact at the social level as other major milestones in the digital world. Some clear examples are Windows 95 (released in 1994 and reached 7 million copies sold in just 5 weeks), GTA V (which raised $ 800 million in the first 24 hours, which made it the video game that more money had collected in less time of all history) or Pokémon GO (a mobile gaming phenomenon that generated 500 million downloads in its first year of life and caused people to throw themselves into the street en masse to hunt virtual bugs). Why has Fortnite become such a successful product? There are several factors that have influenced that has become a global phenomenon starting with its price: download Fortnite and play Battle Royale mode is completely free. Second, the game is available for most platforms available in the market, which makes it accessible to almost any gamer. It is clear that the title of Epic Games is not the pioneer of the games type Battle Royale, but is one of the most accessible ones. Keeping it in constant update, references to pop culture (dances, costumes, scenarios, etc. ), personalization options and challenges have also served to generate a loyal and recurrent community, users do not abandon the game and have interest. Also its popularity has been increased thanks to many successful youtubers that have shared their games in their channels, broadcast the battles through Twitch or organize tournaments that beat all the records of streaming on YouTube. Another great attraction of Fortnite is that all users compete on equal terms. No one can pay for weapons or suits that give them competitive advantages over the rest of the players. This is not a Pay 2 Win title, as is the case with video games such as Battlefront 2 or great mobile hits such as Candy Crush or Clash Royale, for example. Fortnite makes cash with the season passes, in addition to the sale of customizable items: costumes, dances and backpacks mainly, leaving in the hands of the user how much money he wants to spend to stand out more among the rest of the players. Neither is a pioneer in this system (which has worked before in games like CSGO), but it has been one of the most original. The fever of personalization reaches the point that many players even include voice changers for chat, have invented new modes within the "playground" or have created databases to share the configurations of keyboard, mouse and hardware equipment used by the big stars of this video game. Since its appearance in 2008, Android has gone from being a practically residual operating system to become the most used in the world. It is installed on 87.7% of smartphones and 70% of tablets globally. 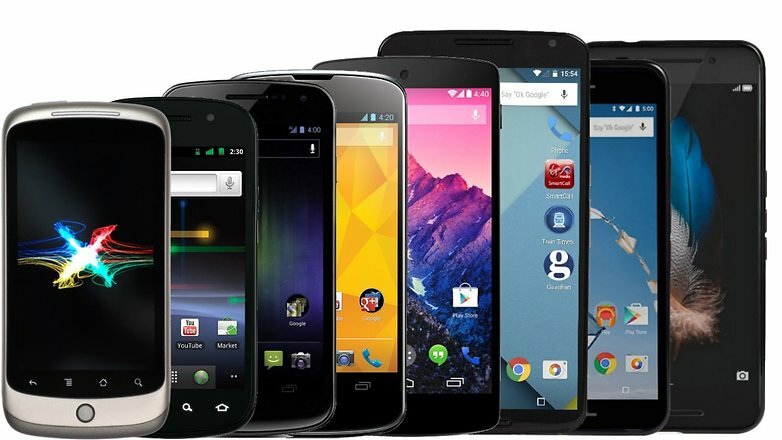 It is estimated that there are currently 2.500 million active Android devices. It is important to note that a high percentage of these devices are low / medium range terminals or incompatible with video games that require high graphic performance. Given the power of diffusion that Android offers to users, practically all video game developers have focused on the operating system. Adapting their games for this platform or directly launching new products adapted to the gameplay offered by phones and tablets. 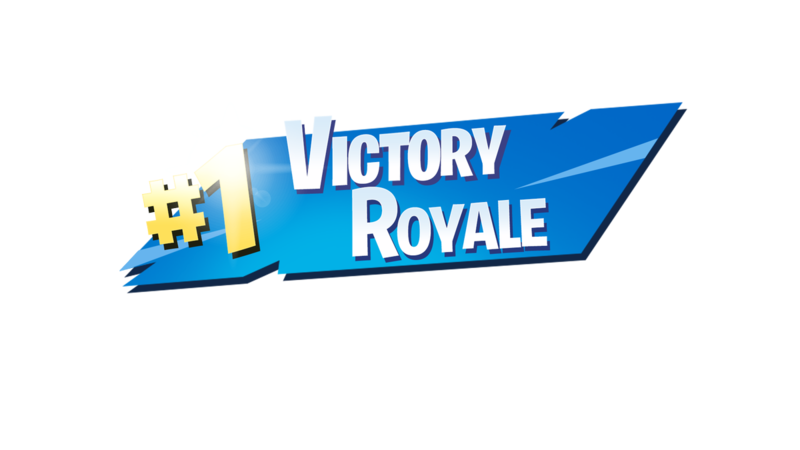 With all the excitement generated around the arrival of Fortnite for Android, two pieces of news have been key to identifying the strategy that Epic will follow when it comes to bringing its Battle Royale game to Android users. 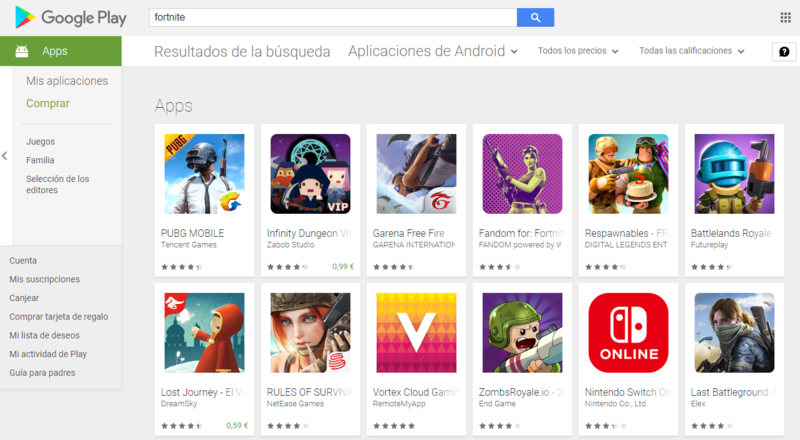 On one hand, the company from North Carolina will not distribute the title through Google Play (the most important Apps store in the world) and everything suggests that the APK will be distributed directly from its website and alternative stores to Google Play. Why has Epic decided to move from Google Play? First for an economic issue, since Google Play keeps 30% of the purchases made through an app. 30% of everything that Fortnite generates is a lot of room to "only" serve as a distribution platform. Second: because they can afford it. Today and given the impact of the game worldwide, agreements with hundreds of YouTubers, specialized digital media and the economic power it has, Epic will have no problems in making users with compatible Android devices can download and install the Fortnite APK shortly after its launch. Why did not Epic Games do the same with App Store? The answer to this is simple: the number of iOS devices is much lower and the only official distribution channel is the Apple app store. Before Epic Games reaches success with Fortnite for Android you will encounter some big obstacles. The first and probably the biggest challenge will be the compatibility with many Android terminals whose features are not the minimum required by the game. This is the big problem that Fortnite faces without a doubt, in the words of Tim Sweeney the game will only work optimally on 300 million of the 2,500 million Android devices that are currently active worldwide, which means 12% of the total. 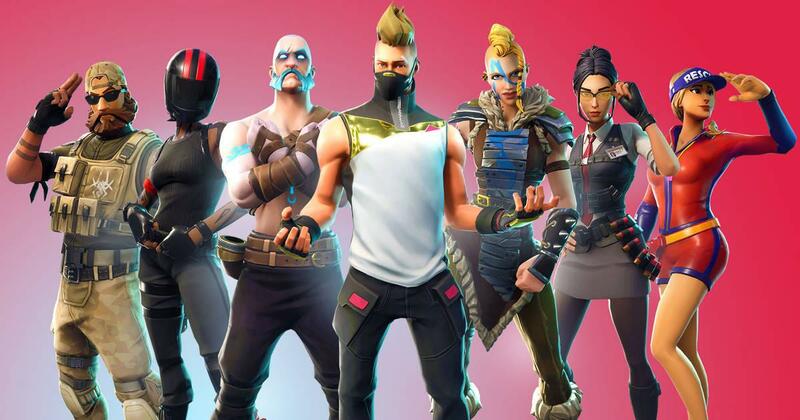 On the other hand, it remains to be seen if the game adaptation for Android meets the expectations of the Android community that expects to install it and if the Epic Games servers are able to support a remarkable increase in players and connections. The last big obstacle to overcome is the gameplay. If the gameplay isn’t fluid, the game probably won’t impress the users and the effort for the adaptation to Android will have been worthless. Although it is going to be a complex process, and limited at the beginning, many factors suggest that the Fortnite launch will be a milestone worldwide, will provide more business volume to Epic Games and will serve to increase its already a massive community of players. 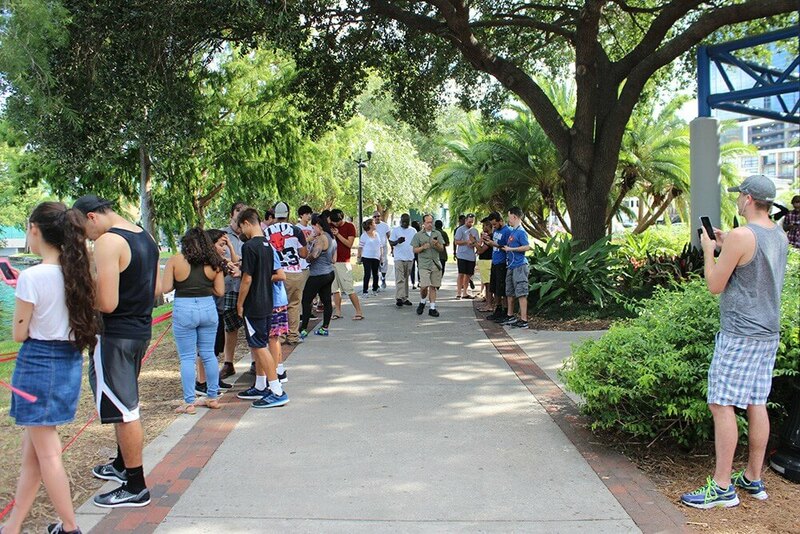 Maybe it is not a viral phenomenon as in the day it was Pokémon GO, but surely if it is launched correctly it will have a much greater route than the success of Nintendo and, seeing the current numbers, will not find rival in terms of benefits in the world of gaming, at least in the short term.